When Chris O’Meeghan came to Waikato Hospital to work as an orthopaedics registrar in the early 1990s, he thought it would only be for a short stint. Nearly 20 years later, O’Meeghan is now the new clinical unit leader of orthopaedics at the hospital and talks enthusiastically about the young department he heads. Only one surgeon in the department is over 50, and it’s not him. It’s a busy department and likely to get busier because the survival rate for traumatic events is so much better thanks to medical advances. “We are busy here – you could say we are applied carpenters,” says O’Meeghan. Orthopaedics is much like putting lego pieces together. “There’s two extremes too. There’s a young trauma patient and the old arthritic patient. “The appeal is of taking the older person’s pain away, they do work well, and they get a good bang for our buck. “Then there’s the young trauma victim. We put the jigsaw back together again and get them back up again. O’Meeghan grew up in Christchurch - one of five children, three of whom became doctors, attended Christ’s College and graduated from Otago with a Bachelor of Medicine and Bachelor of Surgery. Once qualified he had a couple of years in Nelson as a house surgeon, returned to Christchurch where he dabbled in neurosurgery, plastic surgery, accident and emergency, intensive care, orthopaedics and spinal injuries. A year in Invercargill followed and from there to the Waikato. In 1997, he became a fellow of the Royal Australasian College of Surgeons and then completed his fellowship training at hospitals in England and Canada. His areas of specialisation are the upper limb, shoulder, elbow, hand and wrist including arthroplasty, hip and knee replacements and knee arthroscopy/anterior cruciate ligament reconstruction. He deals with many sport injuries and works closely with other sports physicians. Orthopaedics is big business at Waikato. The department has 72 in-patient beds catering for a diverse range of elective cases including upper and lower limb joint replacements as well as trauma cases and complex pelvic reconstructions. The beds are in three wards, one of which is for paediatric patients. The majority of elective cases attend pre-admission clinics prior to theatre. Twice a week there are structured multi-disciplinary teaching sessions for patients undergoing total joint replacement surgery. These have been very successful in ensuring that discharge planning starts as soon as possible. The outpatient area sees approximately 1400 patients per month in fracture clinics and consultant clinics and the plaster room, while there are more than 300 inpatient admissions per month. There is a high trauma caseload with dedicated theatre lists. It is the busiest acute hospital in the country. The relationship between the patient and medical staff can often be a long one and for the most part very rewarding. The orthopaedic doctors are part of a multidisciplinary team including nurses, theatre staff, receptionists, plaster technicians, therapists, typists and many others. “It is vital we all work together for the benefit of the patient,” he said. His goal is to see Waikato established with a regional hand unit like those in Middlemore and Christchurch. “There’s a definite need for that here,” he says. The formation of a regional hand unit would do wonders for the treatment of hand injuries in the Waikato, he says. O’Meeghan says he’s where he wants to be and is proud to lead one of the country’s busiest orthopaedic teams. Four clinical nurse managers (includes outpatients). 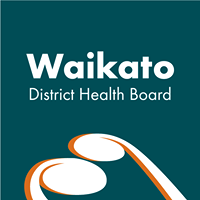 Waikato District Health Board (DHB) employs over 6500 people and plans, funds and provides hospital and health services to more than 391,770 people in a region covering eight per cent of New Zealand.